Three teenagers arrested over a "targeted" stabbing have been released on bail. 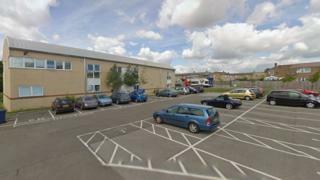 An 18-year-old man was stabbed in the arm and leg as he sat in a parked car in Haverhill, Suffolk, at about 19:20 GMT on Sunday. Boys, aged 17, 15 and 13, arrested on suspicion of causing grievous bodily harm have been bailed until 21 April pending further inquiries. The victim was treated in hospital and released on Monday. Police had thought the attack took place in a supermarket car park in Ehringshausen Way but now say it happened at the back of Clements Surgery, off Greenfields Way. They said they believed the stabbing was a "targeted assault".